Here are events that have happened on this date. In 1957, the Soviet Union launched Sputnik 1, the first artificial satellite, into orbit. Today is Thursday, Oct. 4, the 277th day of 2018. 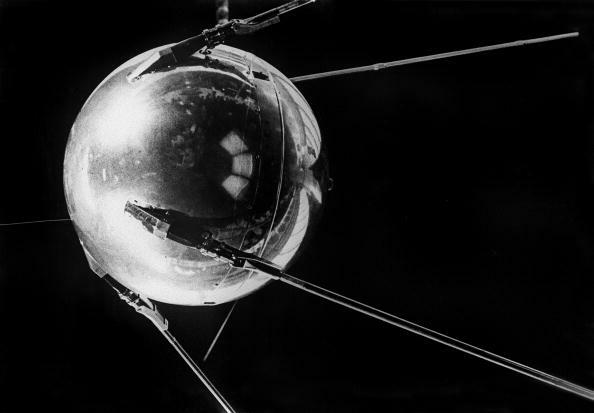 On Oct. 4, 1957, the Space Age began as the Soviet Union launched Sputnik 1, the first artificial satellite, into orbit. In 1777, Gen. George Washington’s troops launched an assault on the British at Germantown, Pennsylvania, resulting in heavy American casualties. In 1861, during the Civil War, the United States Navy authorized construction of the first ironclad ship, the USS Monitor. In 1940, Adolf Hitler and Benito Mussolini conferred at Brenner Pass in the Alps. In 1957, Jimmy Hoffa was elected president of the Teamsters Union. In 1959, the Soviet Union launched Luna 3, a space probe which transmitted images of the far side of the moon. In 1960, an Eastern Air Lines Lockheed L-188A Electra crashed on takeoff from Boston’s Logan International Airport, killing all but 10 of the 72 people on board. In 1970, rock singer Janis Joplin, 27, was found dead in her Hollywood hotel room. In 1989, Triple Crown-winning racehorse Secretariat, suffering a hoof ailment, was humanely destroyed at age 19. In 1990, for the first time in nearly six decades, German lawmakers met in the Reichstag for the first meeting of reunified Germany’s parliament. In 1991, 26 nations, including the United States, signed the Madrid Protocol, which imposed a 50-year ban on oil exploration and mining in Antarctica. In 2002, “American Taliban” John Walker Lindh received a 20-year sentence after a sobbing plea for forgiveness before a federal judge in Alexandria, Virginia. In a federal court in Boston, a laughing Richard Reid pleaded guilty to trying to blow up a trans-Atlantic flight with explosives in his shoes (the British citizen was later sentenced to life in prison). In 2004, the SpaceShipOne rocket plane broke through Earth’s atmosphere to the edge of space for the second time in five days, capturing the $10 million Ansari X prize aimed at opening the final frontier to tourists. Pioneering astronaut Gordon Cooper died in Ventura, California, at age 77. Ten years ago: Secretary of State Condoleezza Rice met with her Indian counterpart, External Affairs Minister Pranab Mukherjee, in New Delhi, where they lauded but did not sign a new agreement opening up U.S. nuclear trade with India. The U.S. military said it had killed an al-Qaida in Iraq leader (Mahir Ahmad Mahmud al-Zubaydi) suspected of masterminding one of the deadliest attacks in Baghdad, several other recent bombings and the 2006 videotaped killing of a Russian official. A North Korean news agency reported on leader Kim Jong Il’s first public appearance in nearly two months. Five years ago: Vo Nguyen Giap, the military commander who’d led Vietnamese Communist forces against the French and then the Americans, died in Hanoi at age 102. One year ago: Four U.S. soldiers were killed in the African country of Niger when a joint patrol of U.S. and Niger forces was ambushed by militants who were believed linked to the Islamic State group. President Donald Trump visited hospital bedsides and a police base in Las Vegas in the aftermath of the shooting rampage three nights earlier that left 58 people dead.